That’s all we’ve got left, at least according to Frank. 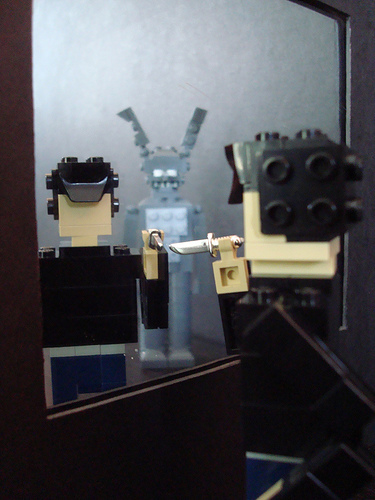 Until then, enjoy this duo of miniland characters from Donnie Darko. They are brought to us by the incomparable Lino. PArdon my ignorance, but until what? ^ Until the end of the world. ^ no – for serious – until what? Actually, until the end of the world in that tangent universe. that’s my favorite movie, I love that frank, it’s great. @scottywan – you’ll have to watch the movie. even then you’ll likely not understand it haha. @scottywan…yes, the world is totally going to end in 28 days. Holy crap, didn’t you get the memo?